The hill station of Yercaud sits among a rolling range of forested hills, and thrives in a climate that has benefitted the biodiversity of the landscape, and the productivity of the town's agricultural industry. Kids will enjoy 32-km Loop Road and Yercaud. There's still lots to do: contemplate the waterfront views at Big Lake, admire all the interesting features of Silk Farm, get outside with Outdoor Activities, and contemplate in the serene atmosphere at Sri Chakra Mahameru Temple. 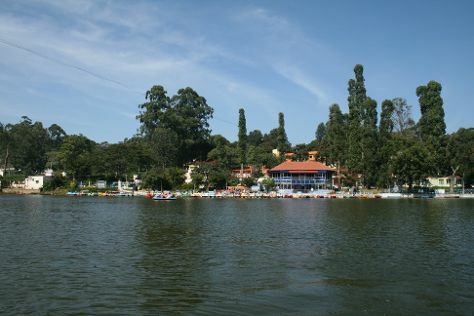 Use Inspirock's suggestions to plan your Yercaud trip and find the best activities and attractions for your vacation. April in Yercaud sees daily highs of 43°C and lows of 28°C at night. Finish your sightseeing early on the 20th (Sat) so you can travel back home.